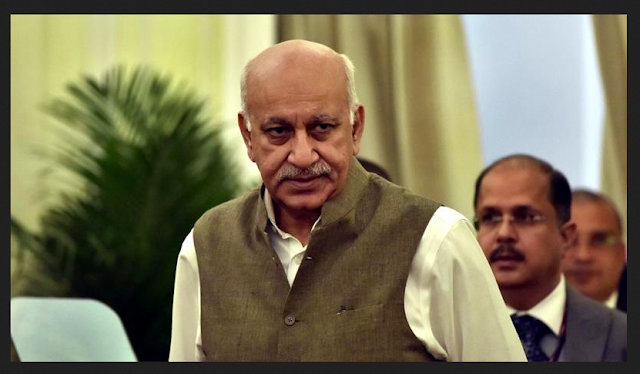 Minister of State for External Affairs MJ Akbar resigned from his post after being accused of sexual abuse under 'Me Too'. In his resignation, thanking Prime Minister Narendra Modi and External Affairs Minister Sushma Swaraj for giving the responsibility of the State Minister of State in her resignation, she said that she will personally face trial in the court for the allegations raised above her. They have accused the allegations of sexual abuse being false. Earlier, MJ Akbar had filed a defamation suit against woman journalist Priya Ramani when she was accused of sexually assaulting me in the campaign. After returning from a foreign trip on Sunday, the allegations made by more than 10 women over them were baseless. Explain that in case of defamation, there is a provision of two years' sentence or punishment or both. In the petition, it was said that the allegation made against social media and social media against Akbar in this way has brought a picture of his client in the family society and friends who can not be compensated.